Exceed your goals and improve your fitness with world-leading wearable technology. The worlds of running and cycling have long had tools to monitor their performance. As someone who trains CrossFit, a stopwatch and whiteboard tells your time, but not how to improve it. Heart Rate sensors provide insight into your internal systems, but not your external output. NEXUS collects similar fundamental data that athletes in other sports use to improve performance. It tracks your body's movement in space to measure your external output. Then, using machine learning algorithms, NEXUS is able to break down your movement and provide meaningful insight into where you can improve. "Loving the feedback I get from NEXUS to break down my performance! An amazing benefit when I am on the road without my coach watching me." 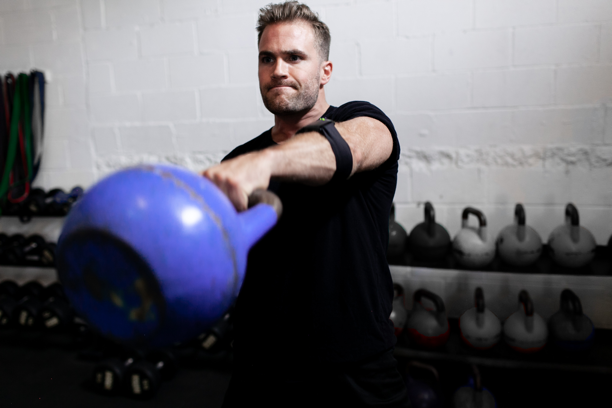 NEXUS leverages the PUSH Band device - a world-leading wearable in professional sports for over five years. The PUSH Band has measured over 20 million reps and two terabytes of movement data to become the precise validated device that it is today. Are you allowing yourself to recover? Track the volume of strain your body endures every workout to avoid under/over-training. The intensity of your workout. You can train slow and complete the same work, but higher power results in a better time and better fitness. Learn how fatigue and pace are affecting each round. Use this to decide on the ideal pace for future workouts to avoid burning out. Find your average reps per minute for each exercise to find weaknesses and plan to turn them into strengths. How much time you actually spent working compared to time spent resting or transitioning between movements.